One of my favorite sides at John Howie is the "Five Cheese Twice Baked Potato"! It's very flavorful without being too rich and cheesy.that was accompanied by oven roasted vegetables. Today, I am giving you this delicious recipe, which I got directly from John Howie! Yum!! Scrub potatoes with a vegetable brush under cold running water. Brush or rub each potato with about 1 teaspoon of oil. Bake until tender when pierced with fork, about 1 hour and 30 minutes, depending on size of potato. Remove from oven and cool just slightly. (Cooling too long will result in a lumpy potato) Cut each potato in half lengthwise and scoop out the center, leaving a shell about 1/4 inch thick. Arrange shells on baking sheet. In large mixing bowl, with whisk attachment added to electric mixer, or use a potato masher, mix scooped pulp with butter until blended. Add, the remainder of the ingredients and beat or mash until smooth. Refill the potato skins with all the mashed potato. 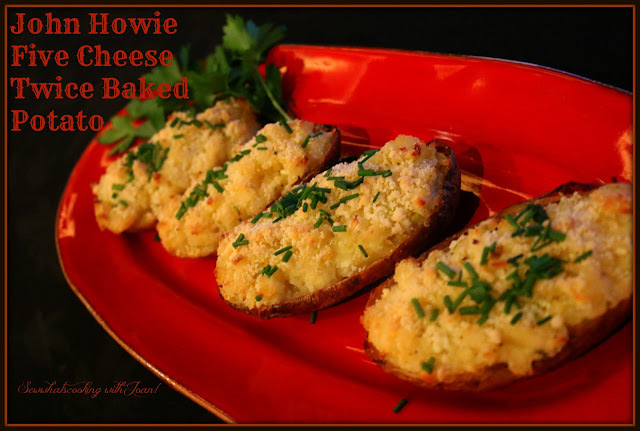 Put stuffed potato halves on baking sheet and bake until tops are golden brown about 15- 20 minutes. To serve, sprinkle with Parmesan Reggiano cheese and chives. 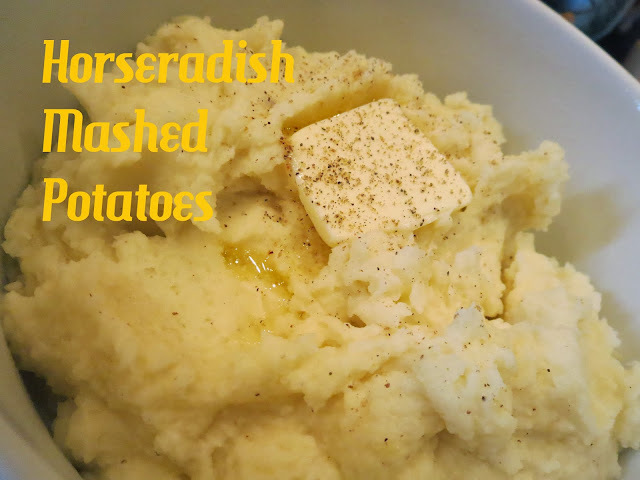 This is a great choice with Perfect Prime Rib, Horseradish Mashed Potatoes! 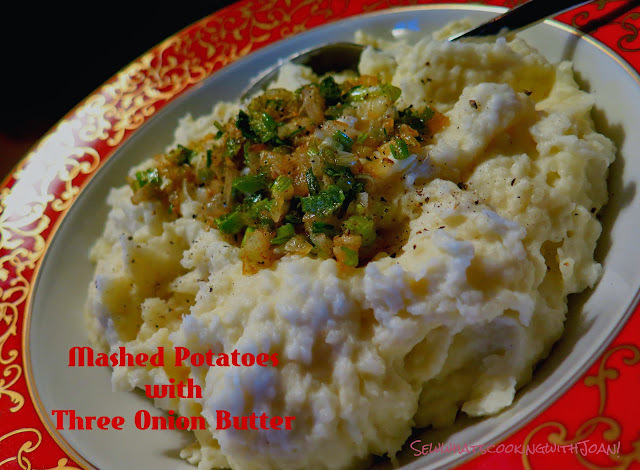 Another great choice Mashed potatoes with three onion butter! 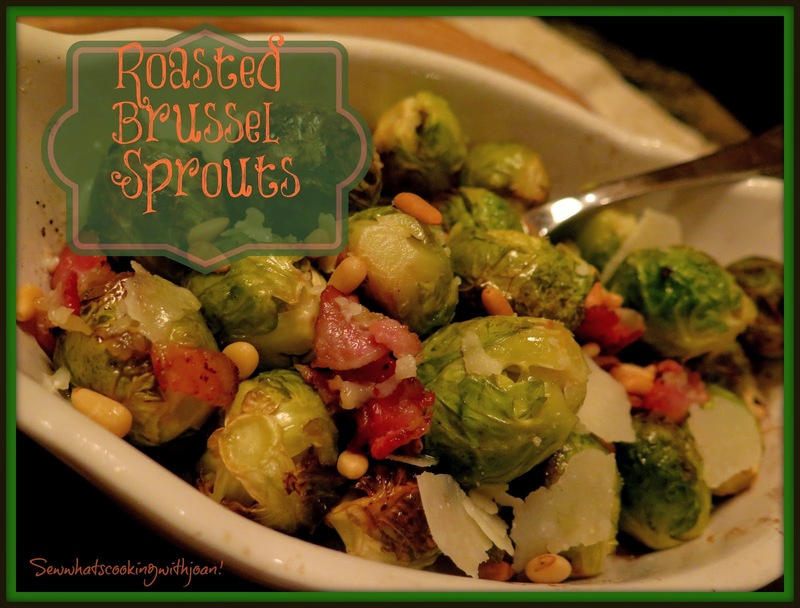 This is a delicious side with all the holiday color, Roasted Brussel Sprouts! Are you putting together your DIY holiday gifts? 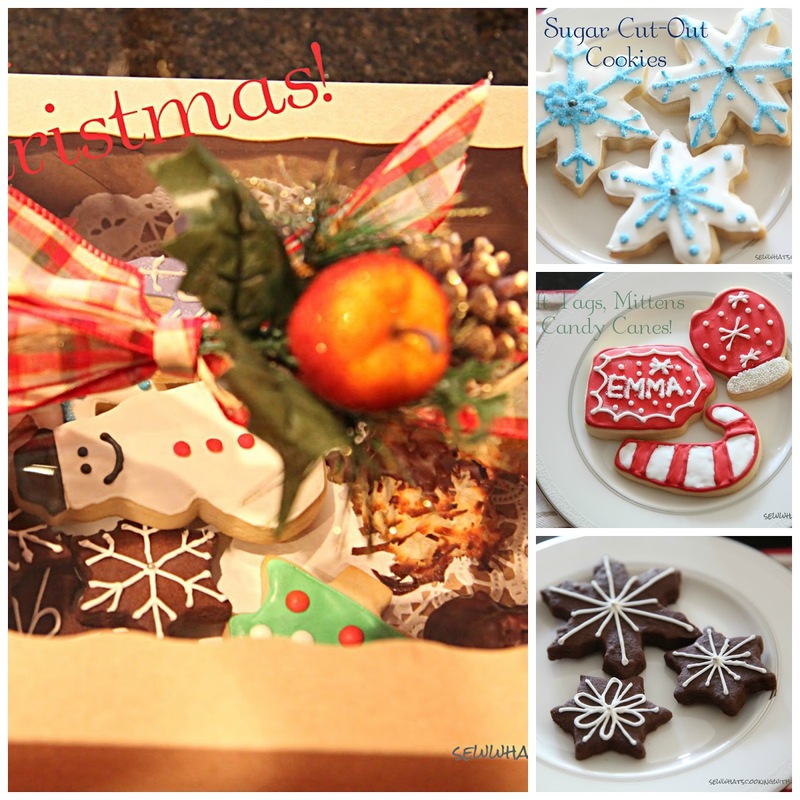 Here is the entire tutorial on baking and decorating your Christmas cookies!! Part 1 - Baking the Roll out Sugar Cookies! 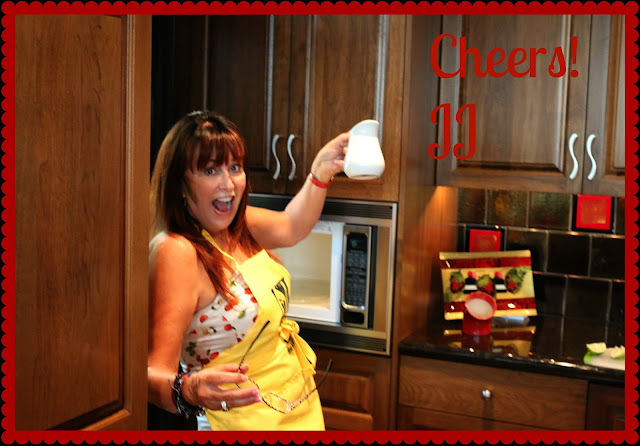 Part 2- Decorating and boxing the Christmas Cookies!